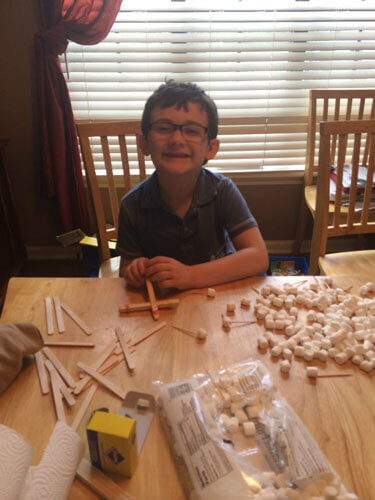 How Unschooling Saved My Son’s Love of Learning—And My Sanity! Ever thought about quitting school? What do you think about kids being home schooled? One of the cool moms who connected with me on Facebook has decided to do just that — she’s one of a growing number of parents who are “unschooling” their kids at home. My son received his ADHD diagnosis at age 4 while in VPK (Voluntary Pre-Kindergarten in Florida). Having observed him from birth, this did not come as a surprise to us. We knew we had our work cut out for us to help him adjust and fit in at school. We began medication and his behavior improved greatly almost immediately. We stopped receiving regular “incident reports” in his backpack. We exhaled. Then we started noticing the side effects. Our happy, hilariously funny extrovert was suddenly very quiet and withdrawn. His appetite was all but non-existent. We were constantly monitoring his food intake and weight. I dropped him off for the first day of Kindergarten with a knot in my chest. I’d gotten used to waiting for the other shoe to drop. Things went well for quite a while—he rarely came home with a note on his “behavior calendar.” I thought we might be over the hump. As the year progressed he began to fake stomach aches and begged to stay home. I had to fight each morning to get him dressed and out the door. Homework (and why do Kindergartner’s have homework in the first place?!) was a nightly fight. I couldn’t do it anymore. I began researching homeschooling and unschooling. I reached out to friends who had done both, spent hours online reading about each, and decided unschooling would most likely be the best fit for my son. Traditional, curriculum-based learning didn’t work for him at school, why on Earth would I expect it to work at home? I withdrew him from his elementary school and enrolled him in a free, private umbrella school for unschoolers in FL. I will be honest here and admit that I pressured my husband into signing off on this. I didn’t allow him the time to soul search and mull it over he would’ve liked, but I just couldn’t take the daily struggle anymore, and my bright, inquisitive son was losing his love of learning right before my eyes. If you ask a handful of unschoolers what unschooling is, you’ll get as many answers. At its core, unschooling is interest led, child-centered learning. The child is free to explore his interests as deeply as he likes at his own pace. In exploring these interests, learning traditional school “subjects” happens organically and as needed. The parent’s role is to facilitate this exploration by providing a rich (not to be confused with expensive!) learning environment and helping as needed to point the student in the right direction to find answers to his questions. What impressed me most about the philosophy of unschooling is that it teaches children how to learn on their own and not depend on a teacher to disseminate information. This serves them well in college, where they frequently outperform their public schooled peers. At the beginning of every unschooling journey, it is recommended that there be a period of “deschooling.” Deschooling is not doing anything school-related in order to allow the child (and parent!) to get used to his newfound freedom and get out of the public school mindset. Common advice from experienced unschoolers is to allow one month of deschooling for each year a child was in public school. Some children might need longer, others less. We spent about 4 months deschooling. There was a lot of Xbox and YouTube and playground time. I started to doubt that the learning would just “happen” when he was ready, as I’d been told it would. And then it began—a random question here, a Google search there, and suddenly we were unschooling! I saw firsthand how one question can lead to another and another until an hour has gone by and we’ve covered a handful of subjects without realizing it. We discontinued our son’s medication when we started deschooling/unschooling to give him a chance to gain weight. He’s put on approximately 20 lbs and grown at least 2 inches and merely looks “filled out” now. We were prepared to put him on it again if his ADHD symptoms were too severe for me to manage his unschooling at home. Six months later, he remains medication free. His symptoms have improved to the point that we simply don’t find them necessary. Because he’s able to explore things at his own pace and move when he needs to move, his overall behavior is great. He’s happy, animated, and—most important of all—hilarious again. I’m so very glad to have him back. Unschooling is not without its challenges, lest I paint too rosy a picture. As a Realtor, my business has definitely taken a hit now that my son is at home full time. We are mostly making do on my husband’s salary. It’s tough, but we’re managing. Unschooling doesn’t have to be expensive, which helps a lot. There are so many free learning web sites and apps (Google and Pinterest have been very good to us! ), free or inexpensive local museums and parks to explore, thrift shops and dollar stores to raid for books and supplies. Unschooling is legal in all 50 states, though state requirements may vary. In Florida, we only need to register with a private umbrella school and report attendance every quarter—no portfolio or yearly evaluations necessary. If you decide to explore this option, Facebook is your best resource. There are many unschooling and homeschooling groups full of experienced people willing to advise you and recommend resources. 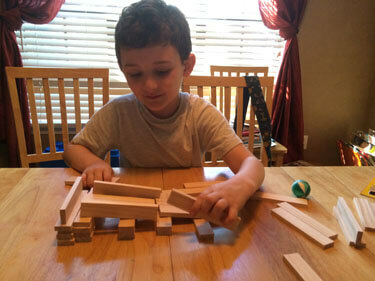 I chronicle our unschooling experiences on my blog, slowschooling.com. It’s worth a visit if you’d like to see what it’s like to be a beginning unschooler. Feel free to submit questions to me via the comments. I’m happy to answer what I can and refer you to the proper sources for anything I can’t. As a parting thought, I would emphasize that making the switch to unschooling (or homeschooling if you choose to go that route) is not an irreversible decision. If you make the leap and decide in time that it’s not working for you or your child, you can always re-enroll him or her in public school. Everyone’s situation is different and this might not be an option for all. Most important is that we as parents love, support and advocate for our children with ADHD to ensure they get the education they deserve. Most important is that we as parents love, support and advocate for our children with #ADHD. About the Author: Vicki Sincoff is a Realtor, wife, blogger and brand spanking new unschooler to her 6 year old son. She lives in northeast Florida with her family and ever-growing menagerie of pets. She has an education degree she paid a lot of money for, but has never used professionally. She hopes it will finally be put to good use unschooling. 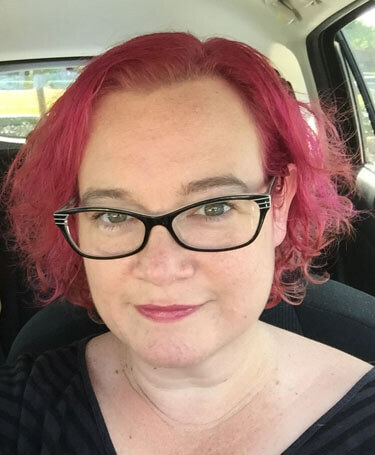 If you’ve ever wondered what unschooling your child might be like, Vicki blogs about her experiences at http://slowschooling.com.